KMS Medisurgi manufactures & undertakes job work of coating of various substrates like non woven fabrics, PU films, cotton fabrics, and taffeta silk fabrics with adhesive. The company is engaged into the business of ethical marketing and distribution of Surgical Disposable, Haemostat, Medical Devices, Urology Equipments, Surgery Equipments, Orthopedic/Physiotherapy equipments, Blood Banking Equipments and other such Surgical Equipments in India. Established in 1999 as surgical equipment company, KMS Medisurgi has successfully launched new concepts. It claims to bridge the gap between the world technological advancements and Indian Healthcare industry. KMS Medisurgi is also a government approved supplier throughout India. The company’s manufacturing facility is located at Palghar, Thane, on the outskirts of Mumbai. Spread over 4,000 square feet, the manufacturing facility has state-of-art machines and equipments. 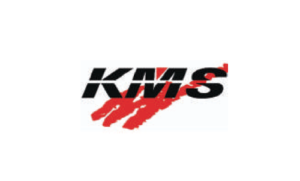 KMS Medisurgi IPO allotment status is now available on Karvy Computershare’s website. Click on this link to get allotment status. You can also check allotment status using application number on this link. When is the listing of KMS?